Cassini's ion and neutral mass spectrometer captured the first-ever measurements of Saturn's upper atmosphere, which extends almost as far as the planet’s rings. The team, which included Cassini participating scientist Mark Perry from the Johns Hopkins University Applied Physics Laboratory, not only discovered water raining down from the rings, but also methane, which was a surprise, since the team expected the gas was too volatile to survive within Saturn's rings or its atmosphere. 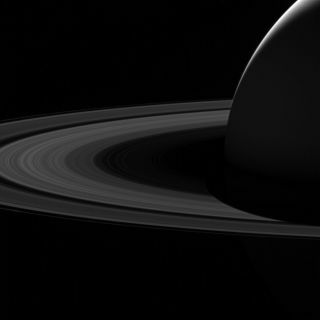 One of the enduring mysteries of Saturn is what force holds its rings together. Models indicate that something is constraining the rings, otherwise the rings would have spread out a few hundred million years after Saturn's birth, as faster-moving particles closer to the planet crashed into slower-moving ones farther away. A new modeling study, led by Radwan Tajeddine of Cornell University, shows several moons — Pan, Atlas, Prometheus, Pandora, Janus, Epimetheus, and Mimas — help to hold the rings together. His study was based on observations from Cassini, which examined waves in the rings and obtained the masses of Saturn's moons. This new data helped Tajeddine's team determine how the moons temper the rings' momentum outwards. His research will be published Oct. 18 in Astrophysical Journal.